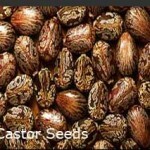 Castor seed prices rose further by Rs 56 to Rs 4,537 per quintal in futures trading after participants expanded positions amid positive trend at the physical markets. At the National Commodity and Derivatives Exchange, castor seed for August surged by Rs 56, or 1.25 per cent, to Rs 4,537 per quintal, with an open interest of 81,850 lots. The delivery for July also rose by Rs 37, or 0.83 per cent, to Rs 4,470 per quintal, in an open interest of 6,660 lots.